If you live in Cary and have kids, you’ve almost certainly heard the name Marla Dorrel. The Cary park that is her namesake is home to Kids Together Playground and is a favorite destination for kids of all ages. But Dorrel has impacted Cary in many ways beyond providing a name for Marla Dorrel Park. Since she arrived in Cary in 1989, she’s been a powerful force for both preservation and innovation in her adopted hometown. 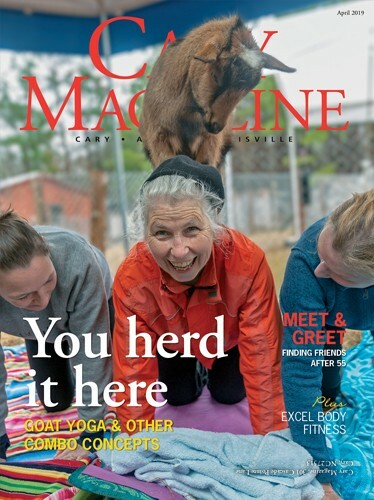 As you might expect of someone who has accomplished much in her life, Dorrel is a goal-setter. Even as a young girl growing up on a farm in southeast Missouri, she was single-minded in her plans for the future. “For as long as I could remember, I had one goal in mind, and that was ‘Get me off this farm!’” said Dorrel. She succeeded in that early goal, heading to college, then moving to Miami where she worked as a special education teacher. Funding troubles for her program drew her out of the classroom and into the corporate world, working for Wometco, which, at the time, was a large media company. “I started as a file clerk and ended as a vice president — the first female vice president of the entire company,” said Dorrel. When Wometco went through a series of mergers and acquisitions in the 1980s and the Miami office closed, Dorrel was given the option of moving to upstate New York; Columbia, S.C.; or the Triangle. Once in Cary, Dorrel sought out ways to be involved. 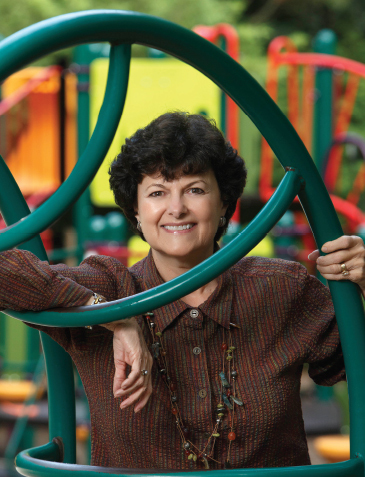 She served on the Zoning Board of Adjustment for six years, began volunteering with the Friends of the Page-Walker Hotel and spearheaded the Kids Together project, which had the goal of creating a handicapped-accessible playground in Cary. The Kids Together Playground opened in June 2000. Then in 2008 the park was named after Dorrel, in recognition of the work she did to make it a reality. “It was a complete surprise,” said Dorrel, who was described as “somewhat stunned” in a Cary News article at the time. While she was working on the park, Dorrel was approached about running for county commissioner, but said the time wasn’t right. Instead, Dorrel spent the next few years going to every Town Council meeting, observing and preparing. When the company she was working for was acquired by Time Warner, she knew it was a good time to make a change. She ran for Town Council in 1999 and won her seat in a five-way race. She served two terms — eight years — before deciding not to run for re-election. But she didn’t stay still for long. She reunited with the Triangle J Council of Governments, an organization she had worked with during her time on the Town Council, and began working part-time in communications and public relations there. It’s truly impossible to do justice to Dorrel’s many involvements and accomplishments. She’s a guardian ad litem advocate, serving as a voice for abused and neglected children in the court system. She’s on the Town of Cary’s Public Art Advisory Board, and is still involved with the Friends of the Page-Walker Hotel. In 2007, she was recognized with Capital Area Preservation’s Anthemion Award for Historic Preservation Leadership and Advocacy. It begs the question: How does she do it all? To help her find balance and to fit in all of the causes she supports, Dorrel started tracking her time 10 or 15 years ago. Dorrel said she had to make trade-offs to find time for the things most important to her. To ensure she remains focused on what matters, she continues to track her time to this day. It must be working, because among all of these involvements, Dorrel also finds time for her hobby — birding. She and her husband, Gary Craven, first took up birding while living in Miami, and it takes them all over the world, to places like Tanzania, New Zealand, and even Antarctica. This year, the couple broke their unspoken rule of never visiting the same place twice and headed back to Machu Picchu as a birthday present for Dorrel’s mom, who turned 85.